« How far can your car take you this summer? If any of the issues outlined below sound familiar, or you have some other cause for suspicion in your car – or even if you just want a sportier air-conditioned car for the coming summer months – it might be time to scrap your car rather than try to fix it up or waste sunny days trying to sell or part-exchange it. The main problems can come from the changing weather, as spring is warmer and drier than the months that came before. •	Cracked and faded rubber and plastic trim due to direct sunlight. •	Dodgy smells due to damp and mould in the air ducts. •	Engine problems due to changing oil viscosity in warmer weather. •	Electric windows and sunroofs that won’t open anymore. 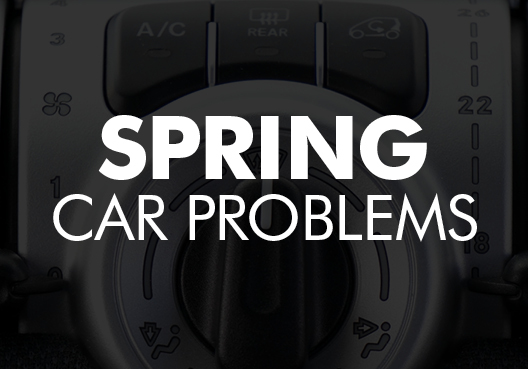 •	Car won’t start or overheats after facing a tough winter. Your driving style might change too. In winter we tend to hibernate, only using the car for long journeys to go visit friends and family. In the springtime it’s often used more for shorter journeys to the park, the shops, nearby tourist attractions and so on – so if your battery or alternator is past its best, you might find the car harder to start or other electrical problems. The used car market is very strong at the moment, with a huge number of diesels coming on to the market from drivers who don’t fully understand the road tax and MOT rules on diesels, or who have just lost the desire to own a diesel and face the slightly stricter rules. Even if you don’t buy a diesel, the extra supply means you can get some great prices on used petrol cars too, but if you have a clapped-out old car to part-exchange, you’re probably not going to get as much for it in the current market. So why not save yourself the hassle and the disappointment, and just scrap your old car to buy a new one? You might be surprised by how much it can be worth to scrap a used car. At J Davidson Scrap we aim to pay the best rates when you scrap an old car that’s broken or is still in good working order – it’s your car, so it’s your choice. Just tell us a few details about the condition and characteristics of your car, and we can give you a quote for how much you can get for scrapping your car, and arrange to take it off your hands if you want to proceed. There are relatively few legal places to scrap a car nowadays, so it’s important to choose an authorised treatment facility. At J Davidson we have the authorisation and expertise to remove any harmful materials from the vehicle, scrap the recyclable parts, and give you a legal certificate as proof of disposal.